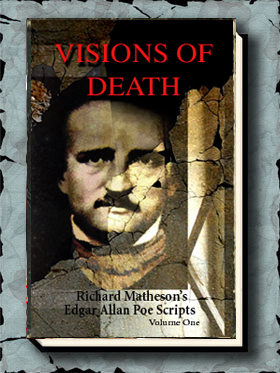 Visions of Death: Richard Matheson’s Edgar Allan Poe Scripts contains two scripts Richard Matheson wrote for Roger Corman based on Edgar Allan Poe’s short stories “The Fall of the House of Usher” and “The Pit and the Pendulum.” These are Matheson’s original scripts for the films and NOT transcription from the studio, so there are differences between the Matheson scripts and film that the reader will enjoy. 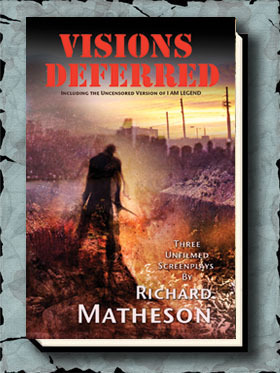 Roger Corman and Joe Dante contribute and signed only the lettered edition. 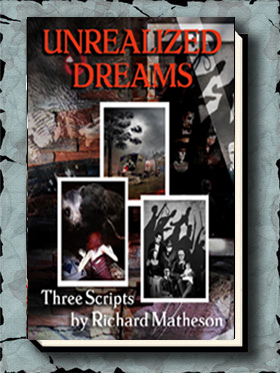 Richard Matheson signed all editions. “The House is the Monster!”: The Making of HOUSE OF USHER by Lawrence French (Including comments from Richard Matheson, Vincent Price, Roger Corman, Sam Arkoff and others). “The House of the Dead”: The Making of The Pit And The Pendulum by Lawrence French (Including comments from Richard Matheson, Vincent Price, Roger Corman, Sam Arkoff and others).